A very long time ago my mother and I were having lunch at the venerable Green’s Restaurant, and though I can’t for the life of me remember what I had, she had an open-faced goat cheese sandwich. 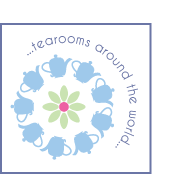 The reason I remember it is because it was dusted with tiny thyme blossoms. There was nothing more to the sandwich than thick rustic dark brown bread, bright white cheese, a sprinkling of greens chives and tiny lavender-colored flowers. It was gorgeous. 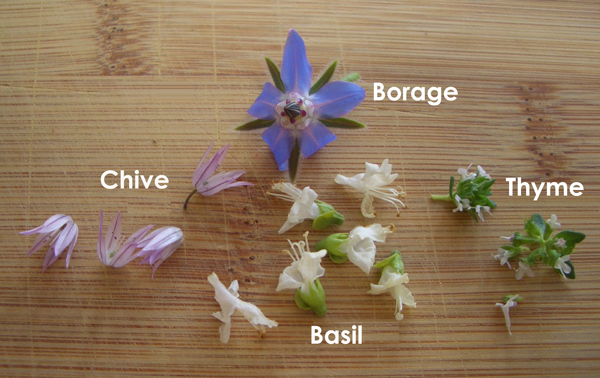 Herb flowers are an easy culinary sleight of hand. 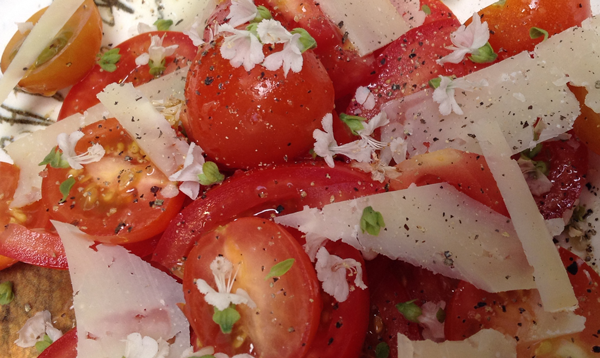 They make average ingredients–like the out of season tomatoes in the photo–look elegant. And they’re more than fluff–they taste like the bold leaves of the herbs they come from, but the flavor isn’t as strong. Too much of some herbs, like rosemary, can be like a spoonful of medicine, but a hint of it by way of the flowers, along with their beauty, is just right. The flowers in the photo came from my Aristotle basil bush. I left it unattended and it has gone to seed. Against the backdrop of a bright red tomato the white of the basil flowers is nice, but when I can get my hands on them I prefer the purples, blues and pinks of rosemary, thyme, chive and sage. Borage flowers are another favorite, and have a mild sweet flavor similar to cucumber.